This allows the rail to be adjusted to the following lengths: 660mm (26"), 863mm (34") and 1066mm (42"). 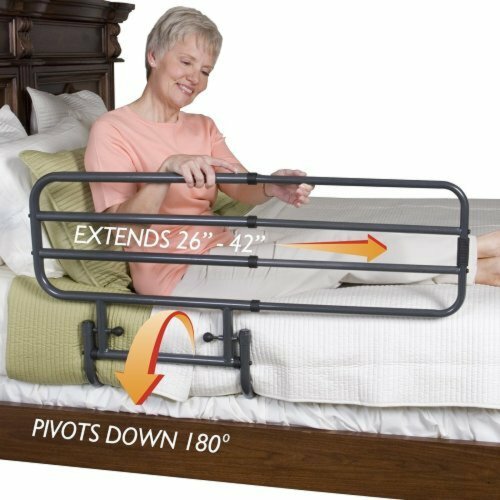 The rail can also be pivoted down, by releasing two clips, allowing the user to swing their legs over to get out of bed or to allow the bed to be made without the need to remove the bedrail. 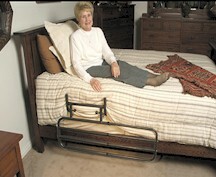 Not suitable for Profiling beds.